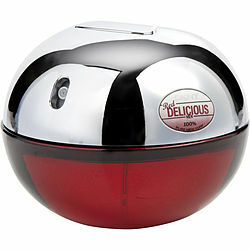 DKNY Red Delicious for men is a cologne that is sure to catch the attention of the people you aim to impress. This striking cologne by Donna Karan was released in 2006 and has become a favorite of men who enjoy a mature fragrance. The casual scent has notes of bergamot, cognac, rum, and ozone, creating a unique scent that draws others near. The fragrance is perfect for quick meetings and afternoon events.